Solving your black tie accessory dilemma. 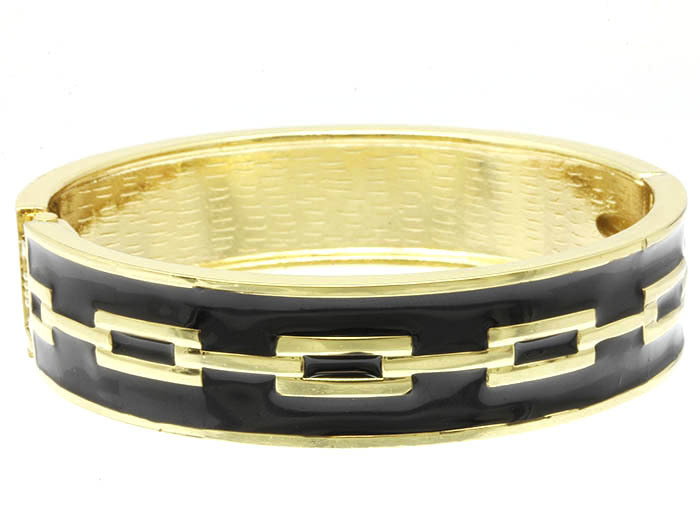 The Tahlia Bangle Bracelet in classic black and gold featuring a geometric link design. Wear it solo for a timeless but contemporary accent. Discover one of Australia's largest jewellery stores right here right now!